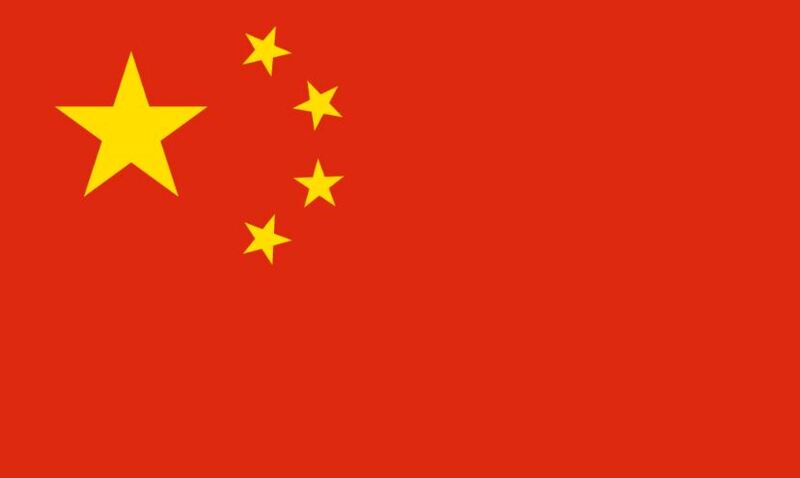 Townley: Is the president-elect serious about a trade war with China? It is a simple fact, that no one disputes – the American bicycle market is 98-percent off shore sourced. 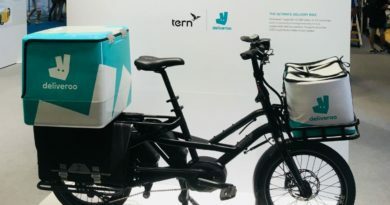 Domestic bicycle manufacturing is, at best currently 2-percent share of the domestic market, and this is the highest estimate in more than two to three decades, though signs of life are appearing. Imports captured the lion’s share of the American bicycle business over a twenty year period that began just after the Bicycle Boom of 1972-1975 and was driven by a serious of economic events, including the post-bike boom down-turn from 1976 through 1978 and a recession. The first big off-shoring move was Schwinn having financial problems at the beginning of the decade of the 80’s and culminated with the decision by Huffy to move production from Mexico to Asia near the end of the 90’s – a period of almost 20-years. By 1998 imported bicycles had captured 99-percent of the American bicycle market and it took the next eighteen-years for the 1-percent change noted above. This is the big and significant difference between the American bicycle market and any other large bicycle market in the world. Europe used protective tariffs to keep its domestic bicycle manufacturing business viable as do other country-markets. In America the section 301 actions to impose protective anti-dumping tariffs were simply too late and all of the attempts to impose higher tariffs on imported bicycles were defeated by the growing bicycle import sector of the business and became a mute point by the end of the 90’s. When the position of the president-elect to impose 35-percent or higher tariffs on imports from China came to light during the campaign the American bicycle business didn’t make a public response – probably because it didn’t have enough information to say anything about. After the election the leaders of the mainstream bicycle business were asked what they thought would happen, and they responded that no one quite knows what to expect, and that the answer to the question is, at best, complicated! 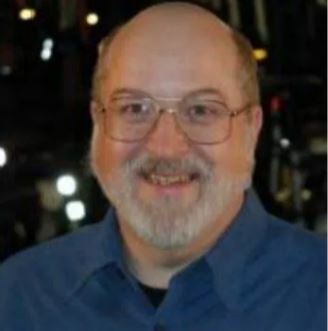 Several nominations and events have occurred during the final days of 2016 that make the answer even more complex and should be of interest to the American bicycle business because they are starting to paint a picture, starting with the nomination of Iowa Governor Terry Branstad to be the next U.S. ambassador to China. Branstad has known China’s President Xi for decades and he has a good personal relationship that will be helpful in future U.S. relations and negotiations with the number one source of bicycles, components and accessories imported into the American bicycle market. 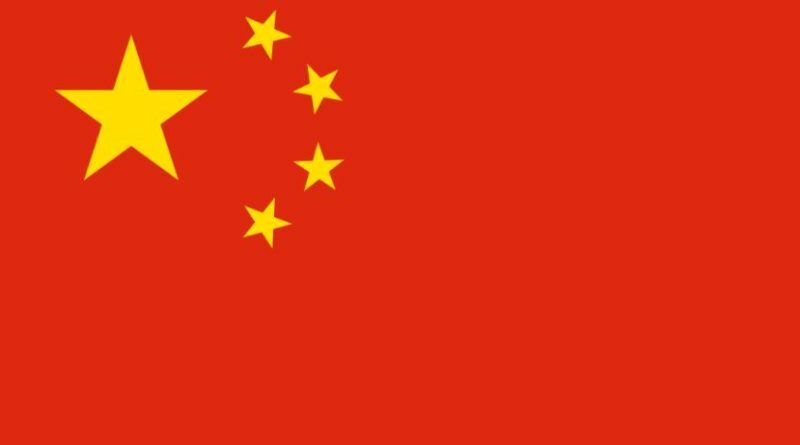 However, the President-elect has given indications that he is either gearing up for a trade war with China…or (and we think this is more probable) is positioning for trade negotiations right out of the gate after he walks into the White House the end of January. One of the “indications” is the appointment of economist Peter Navarro, a fierce critic of China, as the head of a new White House National Trade Council. Mr Navarro advised Mr Trump during the campaign. His books include The Coming China Wars and Death by China. Why nominate a well respected “old-friend” as the next U.S. ambassador to China followed by nominating an economist who has been highly critical of China and written books with these titles to head a new trade council? The whole answer won’t become clear for several months, but what is emerging is a picture of change, not superficial change, but fundamental changes to the foundation of long standing American trade policy. During the decade of the 70s I was very fortunate to have worked for the Schwinn Bicycle Company and through the company’s political connections was appointed to a trade-sensitive committee advising the U.S. Special Trade Representative on the Generalized Agreement on Trade and Tariff (GATT) negotiations. The appointment required an FBI background check and a trade-sensitive security clearance. Here is the portion of the January 5th interview that we believe is of most importance to the American bicycle business and the future of trade negotiations with countries like China. 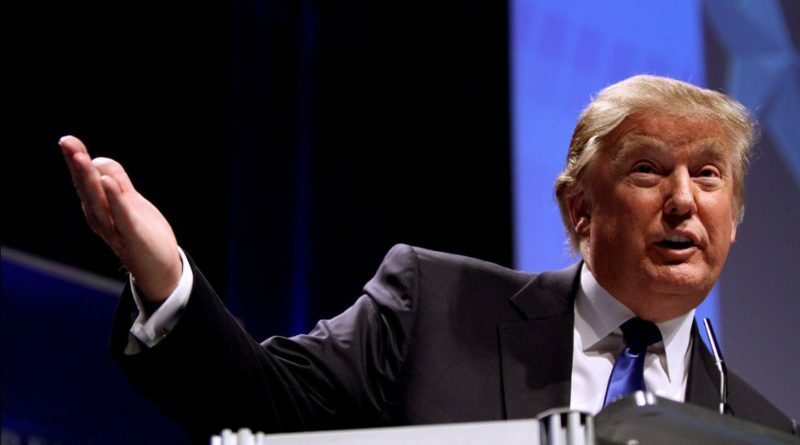 “Brancaccio: And we should remind ourselves that Donald Trump doesn’t see this as a risk. He sees this as, I guess, an opportunity. Please let me know (jay@gluskintownleygroup.com) if you would like a copy of the complete David Brancaccio interview with Ian Bremmer. So, the top of the mainstream American bicycle business currently consisting of mostly privately held U.S. based multinationals aren’t put at immediate risk by the first fundamental shift in American trade policy since the Second World War, but they may be redefined and reclassified – both informally and formally for purposes of what will be the revisions to the national tax code predicted by the incoming administrations transition team. More importantly, the leadership of the American bicycle business will need to move quickly to examine what benefits it has received from GATT and its successor, the WTO and what it anticipates the reaction of the international supplier community will be to a new “independent America” with a “unilateral-ist” focused trade policy that reverses or at least ignores decades of multilateral and bilateral trade agreements. To be clear, Ian Bremmer and the Eurasia Group’s global business risk assessment for 2017 are predicting a fundamental shift away from multilateral trade agreements with multiple countries through negotiations with trade groups like the European Union (EU) and bilateral trade agreements with an individual country wherein the U.S. agrees to reciprocal obligations to more unilateral trade agreements that are one-sided and favor the United States with no mutual obligations. This may prove to be a difficult, perhaps even an impossible task, for the new administration because of resistance in the 115th Congress and from U.S. business and trade groups – but it is certainly in keeping with the changes and disruptions promised before the election – and voted for and expected by the Americans that have put the new administration in power. We anticipate, based on the forgoing, that every effort will be made by the new administration to make good on its trade promises during the campaign – and while we doubt the objective is an out-right trade war with China or other trade partners, there will be a concerted effort to renegotiate multilateral and bilateral trade agreements to reshape them into unilateral, or more unilateral-like trade agreements aimed at preserving or reshoring as many American jobs as possible. This addresses the question we asked about why nominate a well respected “old-friend” as the next U.S. ambassador to China followed by nominating an economist who has been highly critical of China to head a new trade council? We suggest the probable answer is – positioning to enter into unilateral trade negotiations with China and the rest of the world as soon as possible after the January 20th inaugural. We further suggest this places the American bicycle business in a potentially difficult position. While onshoring has already gained a small beachhead in South Carolina with the backing of the country’s largest retailer, there is no definable group of manufacturing workers still in existence demanding jobs back and factories reopened. In fact, the skill sets to manufacture bicycles essentially don’t exist in this country today – and the skill sets in the largest source country for bicycles imported into the United States are no longer based on low wages and have evolved to advanced manufacturing, including robotics. The American bicycle business is not the automobile, aircraft, steel or coal industries, and what makes it different also requires the leadership of the business to craft strategies that recognize and adapt to the fundamental and most disruptive changes since World War Two in the country’s future trade policy! Enjoy Jay’s writing? 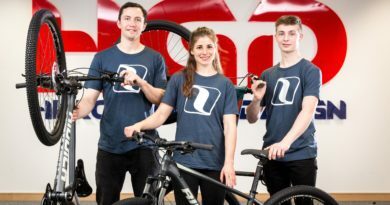 There’s plenty more comment on industry movement, specialist bike retail and the future here on CyclingIndustry.News. How will Ofo help London “challenge Amsterdam’s cycling modal share” and will bike businesses benefit? 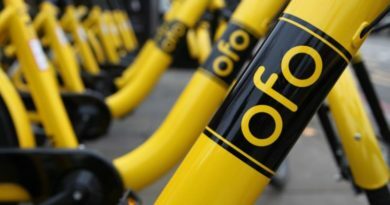 20 November, 2017 Mark Sutton Comments Off on How will Ofo help London “challenge Amsterdam’s cycling modal share” and will bike businesses benefit?